Instagram is – by far – my favourite social media platform. I love to take and share daily snaps and shamelessly stalk others who do the same. It’s the one social network that I visit and don’t instantly feel like people are just trying to sell me something! As a die hard Android fan, I figured there must be others out there who, like me, want to know how to take and edit great photos, but don’t want to convert to the dark (ahem, iPhone) side. So here are my top tips for taking great phone photos alongside a comprehensive list of all my favourite photo editing apps for Android users! The eight mega-pixel camera on my Samsung Note 2 is awesome but when I downloaded the A Better Camera app my photos got a million times better. It has loads of useful functions such being able to adjust the ISO (just like on a SLR), a HDR option and settings for panoramas. The night mode is particularly great, and means that even if the light is a bit gloomy you can still take a pretty decent snap. I recently invested in a Samsung NX3000 camera and it might just be the best thing I’ve ever bought (no really!) It has lots of amazingly snazzy features, but my favourite has got to be it’s build-it wifi which means I can take a snap on the camera and then instantly transfer it to my Samsung phone with just a few clicks. WHOA, the future is awesome! A lot of my most recent Instagrams have been taken in this way, but still edited on my phone. Is it cheating? Maybe a little… but when you get such an awesome tool in your life it would be crazy not to use it. Instagram is - by far - my favourite social media platform. I love to take and share daily snaps and shamelessly stalk others who do the same. It's the one social network that I visit and don't instantly feel like people are just trying to sell me something! Help! My Fiancé & I Have Very Different Tastes – How Can We Style Our Wedding to Reflect Us Both? My name is Tiffany and I’ve been a quiet reader for a while. Reading your blog has always gotten me excited for my own wedding and I’m happy to say, that after 8 years, me and my fiance are going to get married. It’ll definitely be diverse since his parents are Scottish, mine are American and he is Canadian. You see, I have a problem. I look at weddings on your blog, admire how unique they are and can’t help but want mine the same way. After all, I’m a weird, unique dork. I wanted my colors to be neon green and hot pink, with glow sticks in my bouquet, splatter paint tablecloths, video game favors, lego bride and groom toppers and so much more. But my fiancé is so old-fashioned and ORDINARY. He doesn’t want our wedding to stand out and be memorable. So I toned down EVERYTHING. Ordinary favors, ordinary toppers, light green and light pink… nothing unique. The problem? I don’t wanna be upset at my own wedding because there is nothing of me there. Me and my fiancé both LOVE video games but he’d rather decorate our wedding with flowers?! He said that weddings should be approached with maturity, but when I look at your pictures, it’s obvious that people are fine with letting your inner child out. Anyway, I’m getting married in September and I wanted your advice. How should I approach Ian again? I already talked about compromising. I just figured, with your expertise, you would understand and know how to handle it. So I mulled this over and emailed Tiffany back to ask if it was OK to share her email and offer some advice via a blog post. I figure that way, if any more of you are having similar woes you can benefit from this too. When Kat forwarded your message to me, my interest (and empathy) was immediately piqued. You see, I too am stifling my inner child for the sake of my wedding – for the most part, anyway. Like you, this blog has long been bookmarked as a constant source of fantasy wedding inspiration, and when Lamb and I got engaged I was beyond excited at the prospect of all my scrapbooking coming to life. I figured that our dreamy dream wedding would soon be a reality, but as luck (well, yours and mine) would have it, I was mistaken. Like you (again), there have been aspects of our wedding planning that I would say have been – for lack of a better word – hindered. Unlike you, however, the culprit isn’t my husband to be; the culprits are our parents. 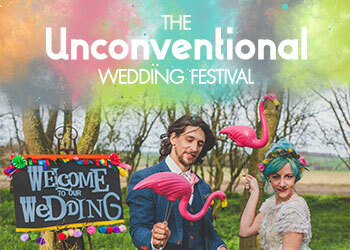 We have had to compromise on a lot of decision-making surrounding our wedding – from what part of the country it’ll be in, to what kind of venue we’d like, what type(s) of entertainment we could have on offer – even down to the cake. As frustrating as it is, it’s important to remember that there are solutions; it just takes a certain amount of patience and a lot of forward thinking. 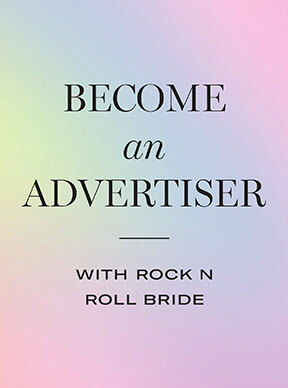 Last week I received the following email from bride-to-be Tiffany... Dear Rock n Roll Queen, My name is Tiffany and I've been a quiet reader for a while. Reading your blog has always gotten me excited for my own wedding and I'm happy to say, that after 8 years, me and my fiance are going to get married. It'll definitely be diverse since his parents are Scottish, mine are American and he is Canadian. But, I digress. Firstly, I wanted to say that out of all the blogs I visit over various genres, your’s is the most consistently updated and therefore interesting blog I’ve come across. My predicament is that me and my future husband are planning our wedding from London to take place in our home New Zealand. We are flying back there in February to get married on the beach with our closest friends and family. My hope is to do my hair and make up myself. This will require deciding on a look (I know I want bright red lips!) and buying the products that won’t sweat off in the summer sun (it will be the middle of summer when we get married.) My makeup skills are amateur at best, and I’d like to know how to strategically paint myself pretty! I’d really appreciate if you could give any tips of good long wearing products, what to avoid and options for learning to apply. Well there’s one lady I knew I could call on to help Ruth with her dilemma – my bestie, make up artiste extraordinaire, Elbie Van Eeden! When Kat emailed me about doing a post on DIY hair/make-up brides, I knew that it will be a tricky subject. 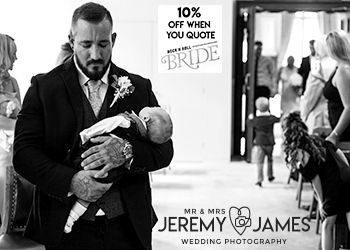 I strongly believe in the difference it makes to have a professional take care of your hair and make-up on your wedding day, in both technique and products. Photographers are now even more keen on using hair and make-up artists in engagement shoots, just to make their work easier when it comes to retouching. But I know some brides get married abroad, or won’t be able to afford a hair and make-up artist. A lot of brides would consider going to a department store for make-up trials. Whilst it is a good idea, and you often get the money you spent on the lesson off any product you buy, unless you know that the brand works on you, it could be a frightening experience.If you’re scared about being bullied into buying products from one make-up range at a store, book a consultation/trial with a independent make-up artist. That way you know you’ll have an unbiased opinion about products, and you could buy the products at your own time, once you’ve seen the results. They will be able to teach you about different techniques, what NOT to do, which brushes to use, and how you could use the make-up after your wedding day. It’s also a good idea to wear the make-up all day, to see it in different light, and to see how long it stays put before committing to buy anything. If you book a trial, feel free to bring someone with you (preferably someone with a good eye for make-up and hair) so she could help you remember and assist you on the day. The best make-up products are often expensive, but things like foundation and concealer are worth investing in. You’ll be having your photo taken all day so you don’t want any ‘cakeyness’, or even worse, a ghostly appearance on your photos! There are too many women out there with the wrong colour foundation – make sure you don’t make that mistake on your wedding! Once the wedding’s over, you could still use it, even if it’s just for a night out, if you’re not a ‘make-uppy’ person. Hi Kat, Firstly, I wanted to say that out of all the blogs I visit over various genres, your's is the most consistently updated and therefore interesting blog I've come across. My predicament is that me and my future husband are planning our wedding from London to take place in our home New Zealand. We are flying back there in February to get married on the beach with our closest friends and family. After the popularity of the last post I ran in conjunction with Sandals and Martha Stewart Weddings, I am pleased to report that I have part two of their video series to share with you. Susannah, who was married at the Sandals Royal Plantation Resort in Jamaica, is a make up artist and wanted to share with us some of her top tips for perfecting your wedding day make up when getting married in a hot climate. I’m thrilled to share this today and I hope you find it useful if you’re thinking about going the DIY route with your wedding make up. For more information about having a destination wedding with Sandals and Martha Stewart Weddings, check out their website right here. After such a great response to last weekend’s post about How to Dress as a Wedding Guest, I got thinking about how I could expand this mini-series. I had a few photographers in the comments asking if I had any tips of how they should dress to shoot weddings. Now clearly I’m not a wedding photographer myself so I thought instead of trying to guess my way through answering this question, I’d ask some of my favourite photographers to share an outfit they might typically wear to shoot a wedding. ♥ Pockets are important – for memory card, lip balm, run sheets, your mobile phone etc. ♥ Comfy shoes are a must. Heels are to be worn with caution. ♥ If wearing a dress that tights or leggings are often donned to avoid any embarrassing knicker flashing when getting into awkward positions to get that shot. ♥ Dark colours are preferable as they are less likely to show up the dirt (again, after getting in all those funny positions!) but the most important thing is that an outfit is comfortable, doesn’t crease (again, when getting into all those funny positions) and is easy to clean. ♥ Pretty accessories are usually kept to a minimum so not to get in the way, however some bits of ‘flair’ can be great for distracting children when doing the group shots! ♥ Camera bags don’t have to be ugly to be practical. After such a great response to last weekend's post about How to Dress as a Wedding Guest, I got thinking about how I could expand this mini-series. I had a few photographers in the comments asking if I had any tips of how they should dress to shoot weddings. Now clearly I'm not a wedding photographer myself so I thought instead of trying to guess my way through answering this question, I'd ask some of my favourite photographers to share an outfit they might typically wear to shoot a wedding. I get a surprising number of emails from readers asking what they should wear to weddings they’ve been invited too. So today I thought I’d use this as an excuse to do some fantasy shopping. I was browsing on the River Island website and was pretty darn inpressed with their new dress collection – they have so many designs that would be perfect for weddings this summer! River Island isn’t actually usually a shop I go into…however I think that might be about to change. I think they key thing is to dress appropriately to the theme of the day and usually this can be determined by how and where the ceremony is taking place -ie a church wedding might mean the wedding could be a more of a traditional affair so maybe you should tone down your inner goth.